Create a Trendy touch to your home!!! 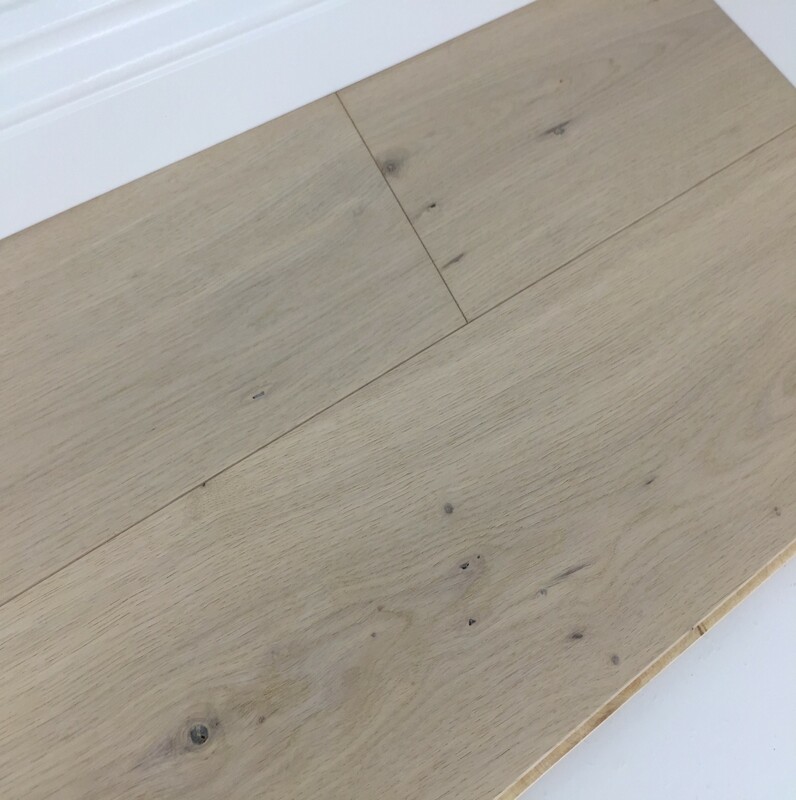 This European Engineered Flooring is an ideal choice for either a modern or classic interior designs. A high quality lacquer finish makes the floor surface extremely hard wearing, durable and easy to maintain and clean. 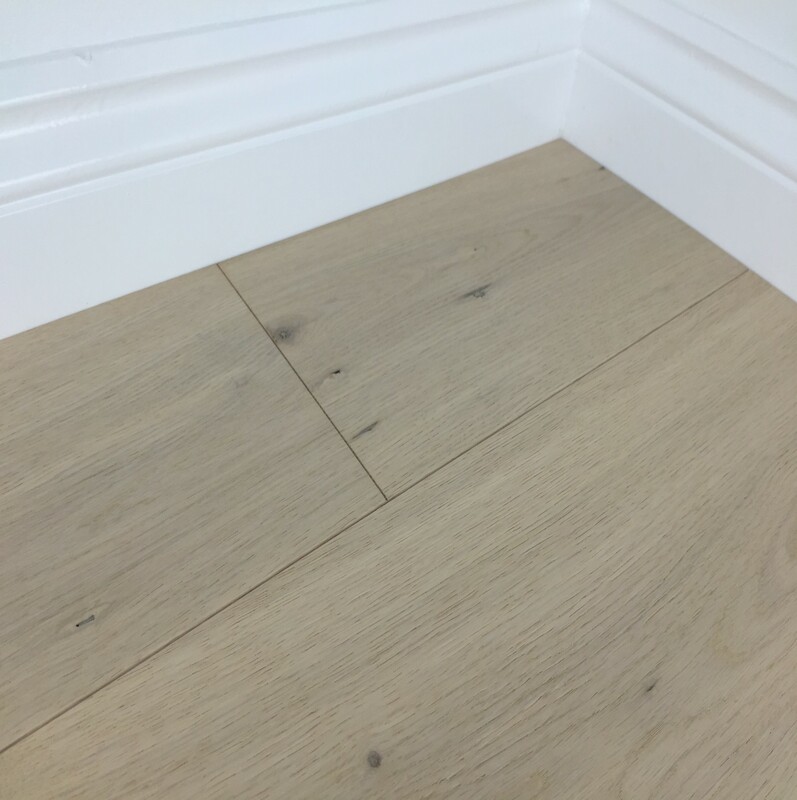 A solid oak top layer of 4mm, allows for restoring and sanding floor to its original glory up to 5 times. Multi-ply base consist of 12-14 cross-laid and glued layers of timber. This gives the floor better stability, ensures resistance to moisture and protects from shrinking and swelling. 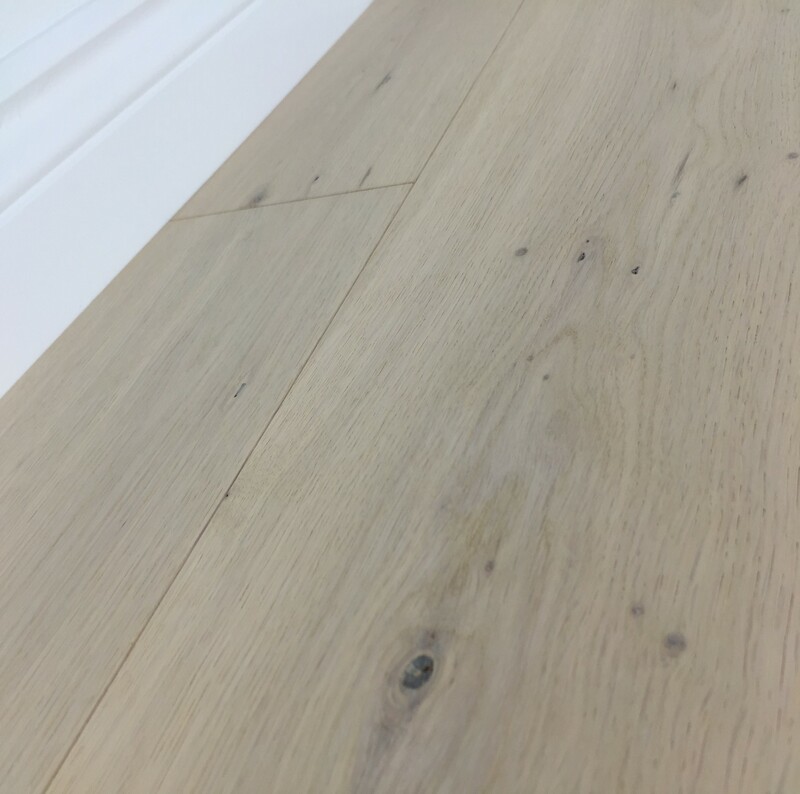 This product is Rustic (ABC) grade, which means floorboards will have mix of small and big knots on them, some surface cracks and occasionally slight variations in colour. A brushed finish enhances the beauty of the wood grain, which gives touch and feel of real wood. 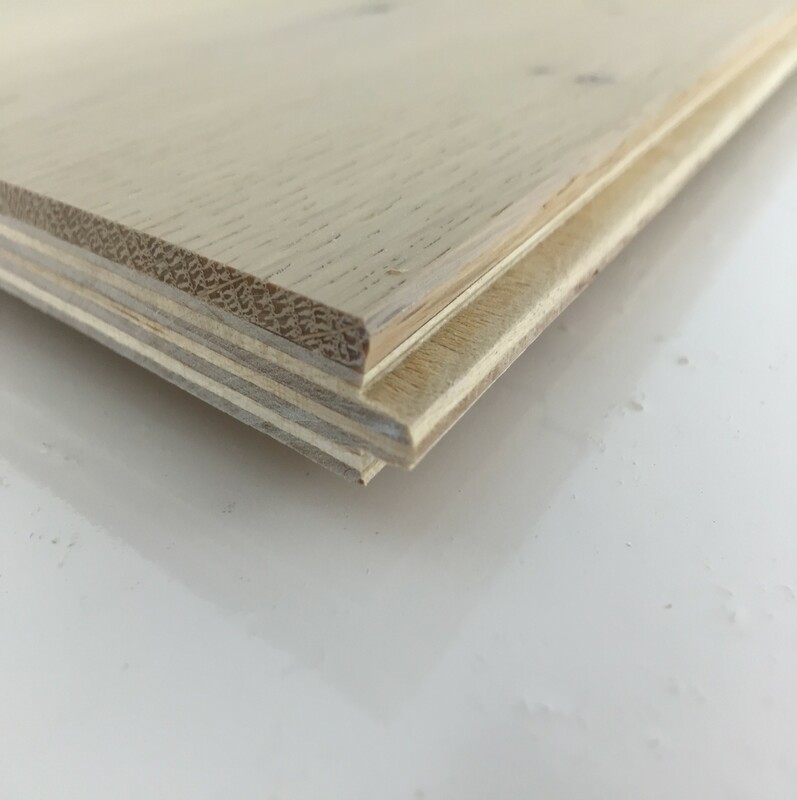 Engineered floor is suitable for living room, study, bedrooms, kitchen, utility room, hallway and stairs and can be used with under floor heating systems. Method of installation is secret nailing, gluing or floating. For everyday cleaning and maintenance, we recommend using a Bona wood floor cleaning products. This product comes with a 20 years warranty.